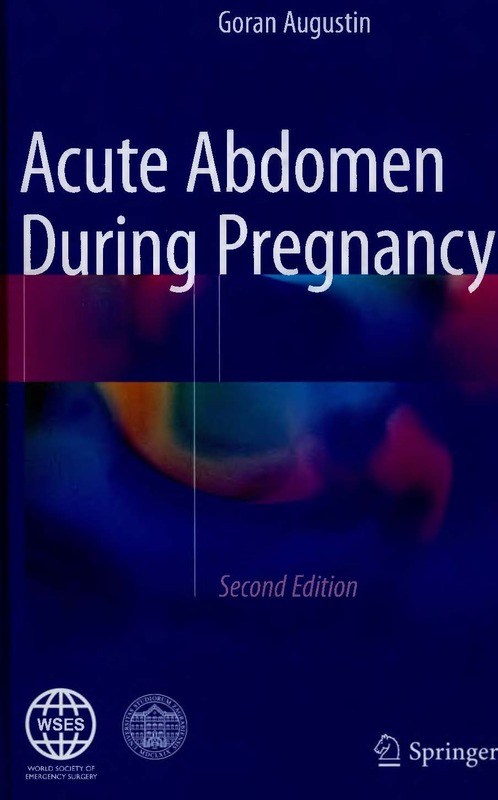 This is the second edition of a well-received book that reflects the state of the art in diagnosis and treatment of acute abdominal disorders in the pregnant patient. It addresses a wide range of conditions, whether associated with or incidental to pregnancy, ranging from very rare to more common ones, such as acute appendicitis and acute cholecystitis. It offers an update on recommendations, guidelines and scenarios to provide fundamental support for all clinicians who might encounter such cases. The book highlights the importance of a rapid diagnosis to avoid serious consequences for both the mother and the fetus. Furthermore, it sheds light on the different imaging modalities of rare pathologies that can occur during pregnancy, helping clinicians and radiologists to better define underlying cases. This new edition has been almost completely rewritten, and includes an additional section focusing on urologic emergencies, preterm labor and intra-abdominal pressure, as well as new figures and tables. It is equally valuable for general and abdominal surgeons, gynecologists and obstetricians, as well as emergency physicians, who may be the first specialists to have clinical contact with this group of patients.